The Trym is a 2 way, 2 driver loudspeaker kit utilizing the latest driver technology from the SEAS Excel product line. This kit use a single W22EX001 22cm woofer and a T25CF002 "MILLENNIUM" tweeter. It was designed to be relatively easy and economical to build, while still providing the very highest level of acoustical performance. The cabinet is a bass reflex design with 34 litre volume. A 70 mm diameter PVC tube with 190 mm length, is positioned beneath the woofer and exits at the front baffle. The bass system utilizes a sub-chebychev filter alignment with a tuning frequency of 34Hz. The crossover network is conventional except for a parallel cicuit which supresses the response peak due to the magnesium cone. The crossover frequency is 1.6kHz. The Trym was designed by Murray Zeligman, who has also designed the new FROY Mk 3 kit. 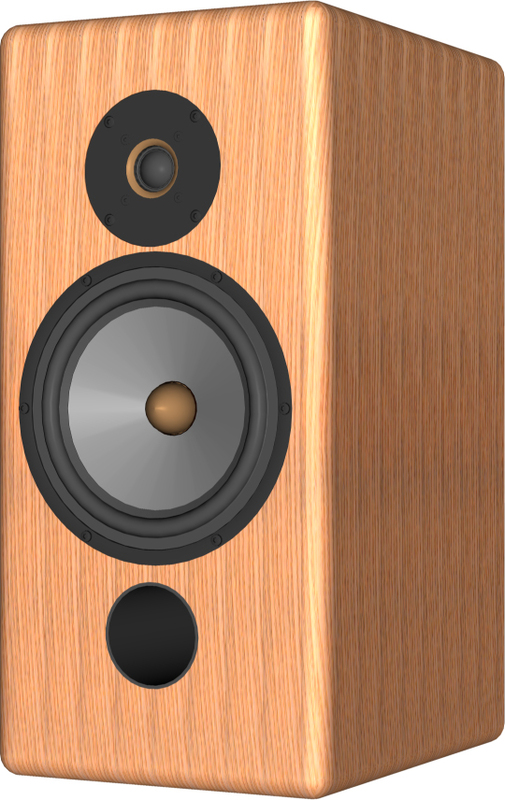 "A 2-way design with a 22cm woofer presents unique design challenges. chosen. I would characterize the sound of this system as smooth and involving"